We are very happy to announce that Mukesh Pritamdasani has joined us as managing director of our practice in India, Whitby Wood Pritamdasani, which is based in Mumbai. Whitby Wood directors Sebastian Wood and Mark Whitby have a long working relationship with Mukesh, who is highly experienced in building and leading engineering organisations, as well as design teams working on challenging projects in India and internationally. Mukesh is passionate about engineers and engineering. He is driven by a deep interest in people and knows how to put innovative design teams together. As a structural engineer, he brings more than 29 years’ experience in the construction industry to Whitby Wood Pritamdasani, and has delivered a wide range of projects — including high rise towers, auditoriums, 5-star hotels, commercial buildings, shopping malls, hospitals and transport infrastructure such as airports and railway stations. Sebastian Wood, Mark Whitby and Mukesh first worked together 12 years ago when Mukesh built a structural and building services engineering practice in Mumbai for whitbybird, the multi-disciplinary practice Mark co-founded in 1983. After whitbybird merged with Ramboll, Mukesh continued to lead the India practice. 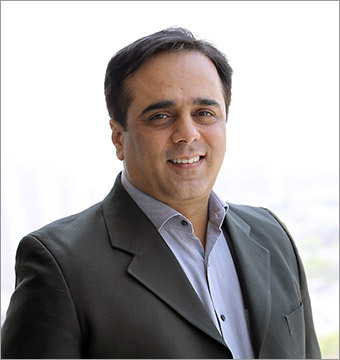 In his early career, he worked for Parikh & Associates, and for Sterling Engineering Consultancy Services. His projects in Mumbai have included a 48-storey tower for Godrej Properties, JW Marriott and a commercial development near Sahar International Airport for K Raheja Corp, a 48-storey tower for RNA Corp, a 60-storey residential tower for Sheth Corp, a 50-storey tower at Nariman Point, a 3.8m sq ft residential development for Lodha Group and an office development for IL&FS at Mumbai’s BKC. More widely in India, projects have included the Inorbit Mall in Hyderabad for K Raheja, the 3.5m sq ft Amazon headquarters also in Hyderabad, an engineering and medical complex at Sikkim University, and a 1,650-bed hospital in Ahmedabad. He also worked on a 700-bed hospital complex for Pai Foundation in Nepal, the 38-storey Twin Towers in Dubai for Trident International, an airport terminal building in Mongolia and an industrial building in Iraq.